Preheat oven to 375. 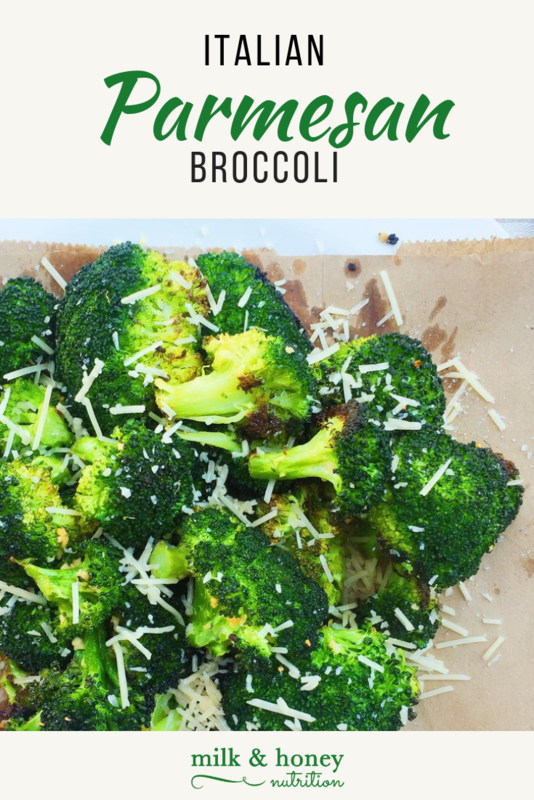 Place broccoli florets in a large bowl. In a small glass bowl, mix avocado oil, garlic, and essential oils. Pour oil mixture over broccoli and toss to coat. Spread broccoli on a greased baking sheet. Bake for 12-14 minutes. Immediately top with Parmesan cheese and sea salt and serve! *Instead of essential oils you can use 1/2 tsp black pepper, 1/2 tsp oregano, and 1/2 tsp rosemary.